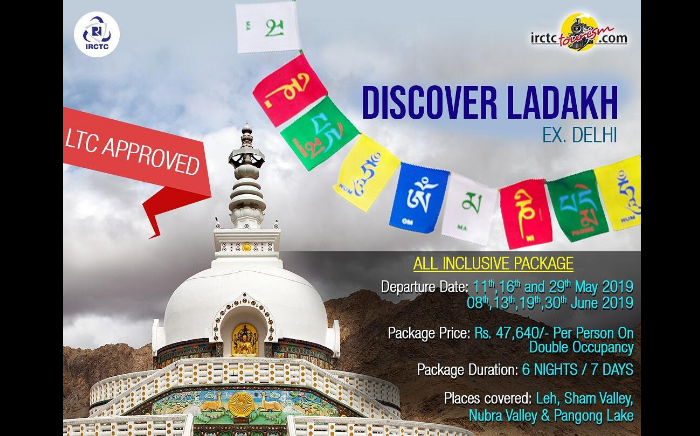 This mouth-watering Ladakh tour package is what we need in summers! IRCTC Tourism, a government of India enterprise, has offered Delhi-Leh-Delhi Ladakh tour for those ready to beat the heat in style! Ladakh tour is a hot favourite and when you couple it with the Tibetan Buddhist monasteries, high passes, sand dunes, little hamlets and beautiful lakes, and you have heaven in front of your eyes! Folks who signup for the tour will get to experience bird watching at Pangong Lake and Camel Safari at Nubra Valley and much more. The IRCTC package is providing a GO Air Flight for arrival and departure. Have you set your mind on Ladakh? Well then click here and check out all the details!